Nigeria is in a state of undeclared war with itself. The most populous black nation on earth is fighting on different fronts. From the Boko Haram insurgency to the scourge of marauding Fulani killer herdsmen and the militant activities of the avengers in the Niger Delta, these clearly show that all is not well with Nigeria. The common denominator of all these groups is separatism, brought about not only by the structure of the Nigerian state, but in its operation by the political leadership. 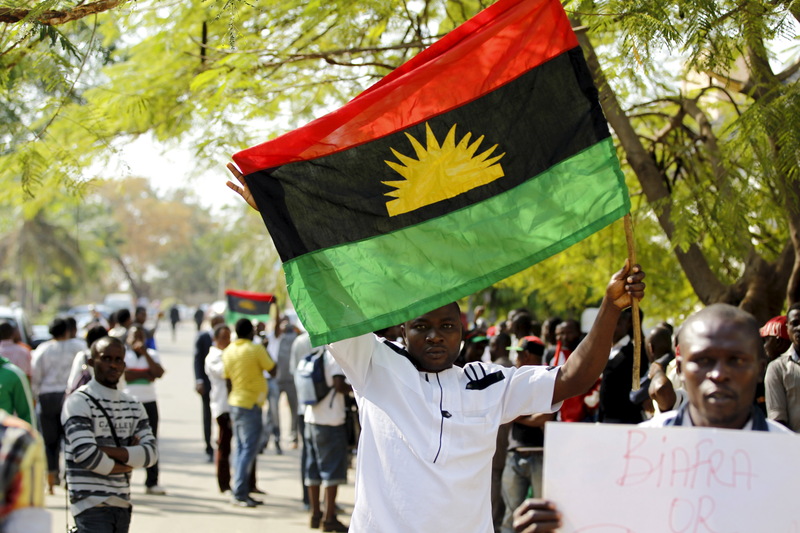 The longest running separatist agitation is the Biafra aspiration among Nigeria’s Igbo ethnic group. The Biafran struggle has resurfaced under the leadership of the Indigenous People of Biafra (IPOB), a sectarian group led by Nnamdi Kanu. The Biafra spirit is as alive today as it was in 1967 because Nigeria is as divided today as it was then. The Igbo ethnic group, which is one of largest in Nigeria, with over forty million people, is the most marginalised and politically disadvantaged. The marginalisation of the Igbo is systematic and far reaching. Modern Nigeria is a British colonial legacy. The eighteenth century was the age of European exploration of sub-Saharan Africa, following the industrial revolution and the declining slave trade, to determine the feasibility of legitimate trade in the interior of the continent. In the preceding era of the trans-Atlantic slave trade, European merchants had limited knowledge of the interior of sub-Saharan Africa, as trade was conducted on the coast with local business men serving as middlemen between them and chieftains of slave raiding chiefdoms. Following the amalgamation of the various kingdoms, chiefdoms and peoples of Nigeria in 1914, by the colonial governor of the territory formerly known as the Niger Area, Lord Frederick Lugard, Nigeria’s journey to nationhood began. The various peoples who suddenly found themselves under a common umbrella accepted their new status with mixed feelings and reservations, with each group seeking a better deal within the constitutional framework of the new nation. One group of people who embraced the modern state of Nigeria without reservation was the Igbo. The pre-colonial egalitarian socio-political system of the Igbo was consistent with the concept of a modern constitutional democracy. The independent spirit and unbridled republican nature of the pre-colonial Igbo society, where feudalism and serfdom were almost entirely absent, fostered in them the spirit of competition, the culture of hard work and a societal reward system that was based largely on merit. Coming from this background, the Igbo saw an opportunity in the prospect of a modern state to unleash their energy and enterprise. Equipped with western education, the Igbo moved freely around Nigeria and made a home of every part of the country they settled in. They made successes of their enterprises and huge financial profits accrued to them, readily distinguishing them within their host communities. Their successes sometimes made the Igbo boisterous with a high sense of self-worth, which unfortunately became mirrored as arrogance to other ethnic groups. The rest of Nigeria began to view the Igbo with suspicion, and their intention was construed as seeking to dominate everywhere and everything. The resentment became more manifest by the dawn of independence in 1960. This system with an imbalanced structure clearly shuts out the Igbo, while also limiting their opportunities in a country they are supposed to be part of. It also appears that the other parts of the country are unanimous in their opposition to the emergence of a Nigerian president of Igbo extraction, as none of the major political parties has a clear agenda for that purpose. The struggle for independence was on the strength of nationalism, which was championed by Dr. Nnamdi Azikiwe. However independent Nigeria subsequently elevated regionalism over nationalism. Therefore the Igbo were caught in between the ideals of nationalism and the reality of regionalism. Regionalism limited the Igbo economically and politically. The Igbo who dominated all federal institutions from the military, to the academia and the judiciary could only be curtailed from dominating other regional institutions through a rigid form of ethno-cultural beat back. This scenario created tension in the polity. Issues boiled to the surface by January 1966, when a group of mostly Igbo military officers carried out a coup which clearly targeted the political leaders of Northern Nigeria and their allies in the Western Region. This coup was to be a precursor to the civil war, following Biafran separatism as a direct result of a bloody counter coup staged by Northern military officers, who saw to the killing of the military head of state, as well as other top military officers of Igbo origin. Political power has since been in the hands of serving and retired military elite, of mostly Northern origin, who actively participated in the counter-coup of July 1966 and also subsequently prosecuted the civil war that crushed the Biafra rebellion, thirty months later in 1970. The resurrection of the spirit of Biafra through IPOB is as a consequence of the heightened marginalisation of the Igbo ethnic group under the current administration. Buhari’s political scorched earth policy of a 97 percent versus five percent patronage formula, as directly proportional to the percentage of votes cast for him by the regions, is being made real and the Igbo appear being punished for freely making a democratic choice as guaranteed by the constitution. 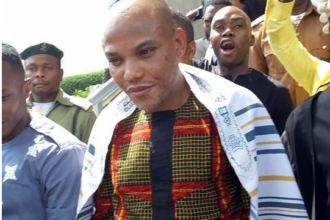 The Biafran question is beyond Nnamdi Kanu’s IPOB, which is only a symbolic expression of deep dissatisfaction brought about by a systematic injustice to the Igbo. The erstwhile ruling military elite ensured that the South-East geo-political zone, which is the homeland of the Igbo has the least number of states [five] and local governments , which translates to less revenue from the federation account, fewer representation at the National Assembly, fewer executive positions in all political parties, with the collective consequence of political irrelevance in the national power equation. This situation is further compounded by the fact that Nigeria exists more for political rather than economic reasons. Therefore, merit, by way of excellence and hard work, is not always rewarded. Sectionalism has been entrenched in the system to reward less work with higher pay, provided you are from the right part of the country. The policy of quota system ensures that standards are lowered to accommodate people from the educationally disadvantaged states of Northern Nigeria into higher institutions of learning, while the standard is raised for people from educationally advantaged states, mostly from the Southern parts of Nigeria. Ironically the policy of federal character ensures the North-West, with seven states and one hundred and eighty seven local governments, gets a higher quota of federal jobs and appointments, irrespective of their educational disadvantaged status. This system with an imbalanced structure clearly shuts out the Igbo, while also limiting their opportunities in a country they are supposed to be part of. It also appears that the other parts of the country are unanimous in their opposition to the emergence of a Nigerian president of Igbo extraction, as none of the major political parties has a clear agenda for that purpose. …the responsibility of uniting the country is that of the president of the federation. He should show leadership by being less of a partisan politician and more of a statesman, who in the spirit of nationalism must have a feel of all parts of Nigeria, for all parts of Nigeria to have a feel of him. Under the Muhammadu Buhari administration, no Igbo is trusted enough to be in the kitchen cabinet. 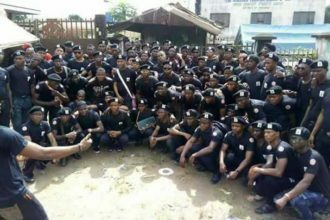 The entire top echelon of the defence and internal security apparatus are exclusive of the Igbo. In the last eighteen months of his presidency, Buhari has not visited any part of the South-East. Nothing has been done to address the deep rooted injustice against a significant section of this country. These largely explain the high level of legitimacy that Nnamdi Kanu’s IPOB enjoys among the Igbo today; a legitimacy only comparable to the Chukwuemeka Ojukwu-led Biafra republic. This legitimacy was clearly demonstrated by the real time visit to Kanu in Kuje prison, where he is being held by the Nigerian authorities, by no less a person than Orji Uzor Kalu, a frontline politician and business man, who has made no pretences about the need for equity in Nigeria. His visit is significantly historic because as a member of the president’s party, the APC, Orji Kalu has demonstrated a rare courage in bringing to the attention of the federal authorities the plight of the Igbo in Nigeria beyond Nnamdi Kanu’s IPOB. Orji Kalu has an age long reputation for telling truth to power in a voice that doesn’t shake. He also followed this up by paying a New Year visit to Kanu’s parents in their country home in Abia state. Therefore, the responsibility of uniting the country is that of the president of the federation. He should show leadership by being less of a partisan politician and more of a statesman, who in the spirit of nationalism must have a feel of all parts of Nigeria, for all parts of Nigeria to have a feel of him.